If you have lost some or all of your teeth, our Upland dentures are a good way to replace them. 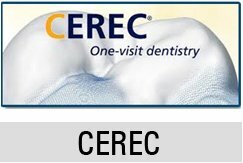 They will improve your oral health as well as your overall appearance. Immediate teeth replacement is very necessary. The teeth give the individual the right to smile. A smile that is complete and properly aligned is a smile that is attractive. The teeth are also essential in the production of specific sounds, therefore making sure that the individual’s speech is not compromised in any way. Some sounds are formed from the proper contact of the teeth with the tongue and lips. The teeth also hold a very significant function in mastication and nourishment. The anterior teeth function to cut the food with their knife-edge anatomy and the molars function to grind the food so that they can be assimilated more efficiently. The teeth, especially the posterior, hold the person’s bite and this maintains the stability of the facial structures. In summary, teeth replacement will prevent sagging of the facial muscles and therefore will improve their tone. They will also enable you to speak, eat and chew normally. 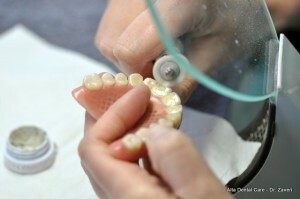 Only get teeth replacement or false teeth that are designed in such a way to look and feel like your natural teeth. Dr. Zaveri’s General and Cosmetic Dentistry in Upland, Alta Dental Care offers more natural choices of colors and shapes for artificial gums and teeth. You want your teeth replacements looking as natural as possible making them almost unnoticeable. Our professional dental materials are utilized to create our Upland dentures, making them more comfortable to wear, more durable and offering better fit. Consult Upland dentist, Dr. Zaveri today to avail of our affordable Upland dentures in Alta Avenue. Get natural looking teeth replacements right away, call Alta Dental Care at 909-985-6116.